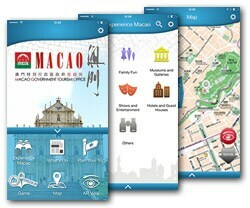 This app introduces Macao's latest tourist attractions and monthly highlights from local events, activities, festivals, performances to exhibitions. 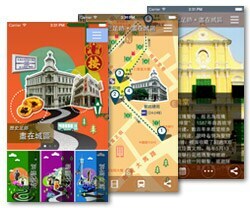 Once downloaded, you may check out Macao's splendid events offline through its colorful and handy interfaces. The content is available in three languages - English, Traditional and Simplified Chinese. 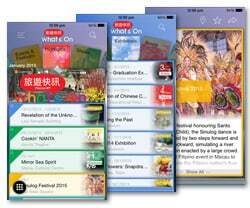 The app is available in Traditional Chinese, Simplified Chinese, English, Portuguese, Japanese and Korean language. This app provides the most sought after information essential to you. Come to experience for yourself the memorable moments while staying in Macao. Make your trip free and easy by creating your customized trip employing our audio guide and AR function. Languages in Traditional Chinese, Simplified Chinese and English are available. - Information of Tourist Spots, Shows & Entertainment, Accommodation, Restaurants, etc.